It’s not the dog days of August. 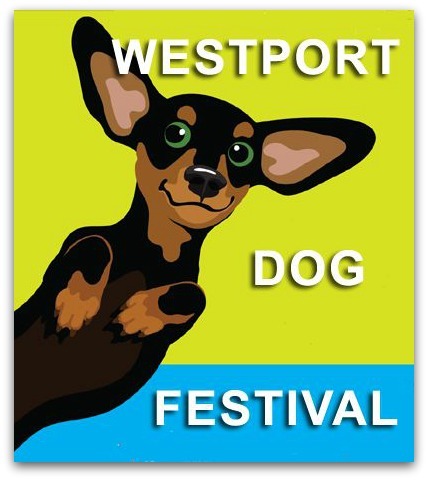 But predicted unsettled weather — including possible thunderstorms — has forced postponement of Westport’s Dog Festival. Originally scheduled for this Sunday at Winslow Park, the new date is Sunday, May 27. The time is the same: 10 a.m. to 4 p.m.
“It’s the prudent thing to do,” said Matthew Mandell, executive director of the sponsoring Westport Weston Chamber of Commerce. This is the 2nd time in 3 years that the festival date was moved. The 2016 debut was postponed — yet still a great success. Now let’s hope the 3rd time is the charm for Memorial Day. The last 2 parades were canceled, due to weather. This entry was posted in Environment, Organizations and tagged Westport Dog Festival, Westport-Weston Chamber of Commerce. Bookmark the permalink.